For Your Lifestyle: Discover the Rivers of the World - Distinctive Advisors Inc.
Our Distinctive Advisors team is committed to helping you enjoy a stress-free real estate experience, where we take care of the details so you don’t have to worry. Our travel partner, Further Afield Travel and Tours, takes the same approach when it comes to travel, with “one-hand-to-hold”. This is a story from one of many worldly adventures from Stacey Cruise of Further Afield Travel and Tours. Imagine yourself the original settler of a new land. A river inherently provides staples crucial to survival (water, food, energy, transport). The importance of rivers is reflected in the number of great civilizations built along their shores. Present day, rivers of the world meander at a leisurely pace bringing visitors literally to the front door of history. Seven days ago I walked a short gangway to board a river cruise ship. While watching the captain assist a passenger we were personally greeted by the onboard ‘hotel’ manager. Bags taken to our stateroom, we headed to the lounge where the massage therapist was offering complimentary back massages. Only ten minutes on board and already I am feeling welcome, unencumbered and pampered. The mooring lines were tossed onboard and our adventure began. The shoreline became our constant companion permitting uninterrupted sight seeing. Standing on the sun deck we took in the 360-degree panoramic view. Tranquil waters and a quiet ambiance provided for an extremely peaceful state of mind. Closing my eyes I let the soft sun warm my face while enjoying the slight breeze passing by. This was to be day one of my seven once in a lifetime days. Life on board the ship was an absolute treat. The quaint number of passengers allowed the abundant ship’s staff to personally cater to any needs that arose. Staterooms were well appointed and the open-air view was delightful. Wonderfully laid out buffet breakfasts and scrumptious a-la-carte dinners were eye and taste bud pleasers. Moving around the ship was a breeze. An over all length of 410 feet, a width of 37.5 feet and only four decks (including sun deck) had everything close at hand. Each day we docked mere footsteps from the heart of captivating cities and towns. With the help of local English speaking guides we delved into our destinations’ fascinating history. Other excursions permitted a glimpse into the culture of our host cities. Being in the heart of town, the ship’s location allowed for personal exploration. Walking about town at a leisurely pace was always an option. Truly we were able to design our days to suit our desires. Compiling a treasure trove of wonderful memories I woke up excited to begin each day. River cruising is a spectacular way to see the best of marvelous cities while taking advantage of accommodations that travel with you. 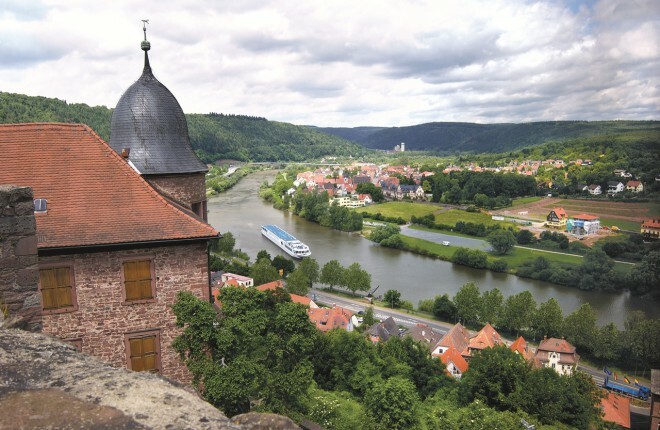 The world truly is your oyster when indulging in a river cruise. Further Afield Travel and Tours was born of a desire to have clients thoroughly enjoy their travel experience. Our company has put personal back into travel and values your leisure time as you do.